Cleaning out the garage for an upcoming move. First up an AD frame. 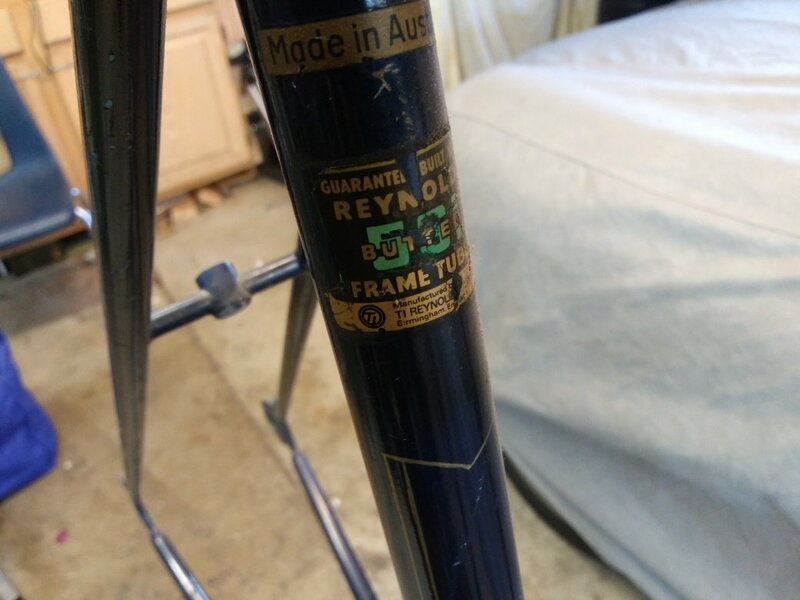 This frame set is 56cm square, made from Reynolds 531 tubing, and has nice forged dropouts. The frame is 56cm square, meaning the top tube an seat tube are the same length. Seat post size is 27.2, and the rear spacing is roughly 120mm. 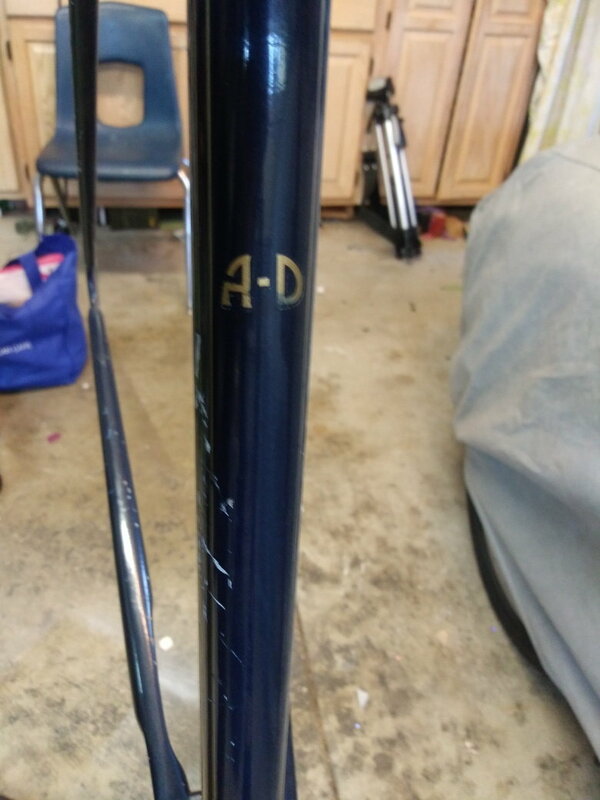 Frame is straight and sound, but has original paint that has lots and lots of nicks and scratches. Complete with BB and headset, and even comes with bars and a stem if you want them. Now reduced to $80, but am still open to offers.... especially if you're local. The frame is in CA, so shipping gets pretty high once it goes past the Mississippi. I plan on getting a box and weighing it out this weekend, so I can get a reasonable shipping estimate for interested parties. Last edited by bigbossman; 01-28-19 at 01:32 PM. And answered. Looks like the Wheels are SPF. Crikey that was fast. I didn’t even have time to publicly lament that I have no room for another project. I’d say GLWS, but instead, I hope the sales go smoothly! The ad for the frame was up at 6:30 p.m. and it sold at 6:59, . Yeah its my size and I would have been tempted as well! The frame is not sold yet....... It is still up for grabs. This comes with a BB and headset, right? Is the threading BSC for the BB and HS? 22.2 stem? Yes, and "I don't know". 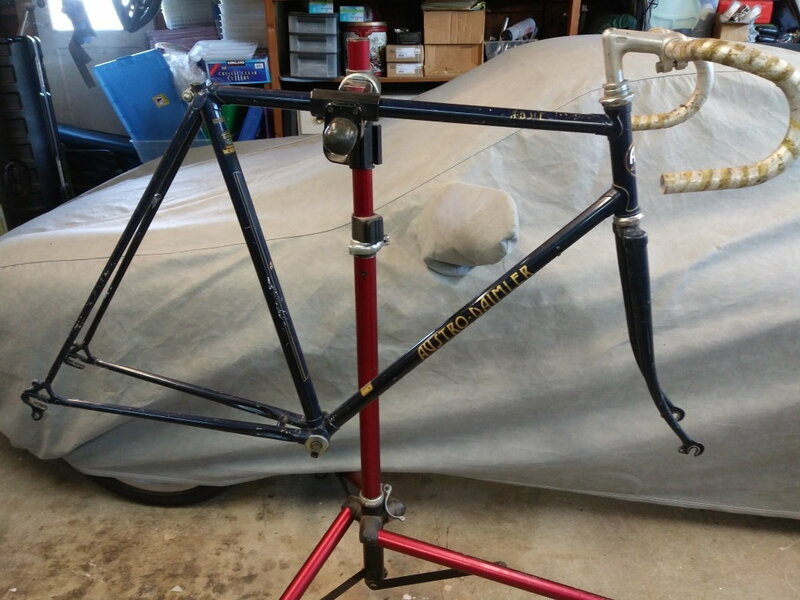 The BB and HS were on the frame when I got my hands on it, so probably original to the bike/frame. 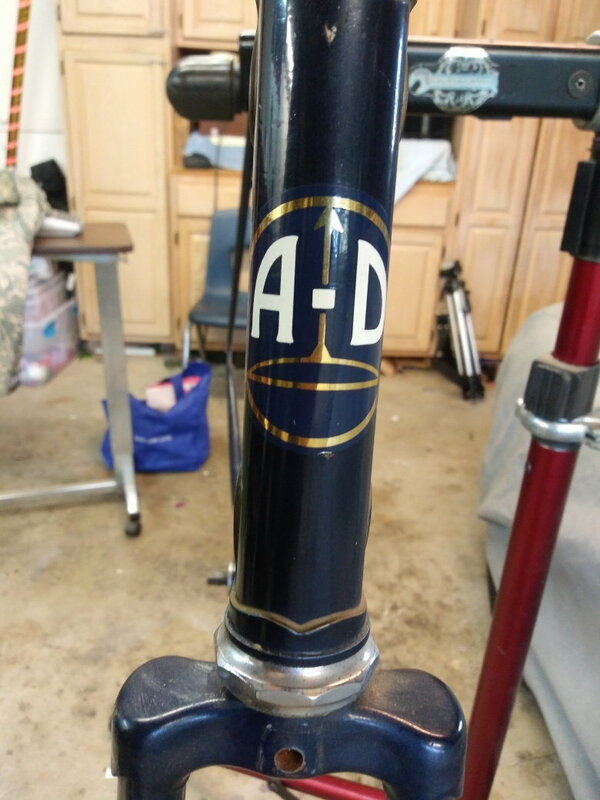 I can measure the stem, but one is included as well (as are a set of bars, see pic). I did some reading on this. It looks as if the threading could be BSC, French, Swiss, or even perhaps Italian. Wow. Well since it has a BB and HS, this really isn't an issue with this frame. Some info on the SLE. The headset is guaranteed to be Austrian thread. The only two sources for an Austrian headset are the Puch Maxi moped headsets (sold new by some obscure website) and other old AD's or Puch's. You'll want to repack with loose bearings as the cups are thin and are easily "Brinelled". They do not interchange with any other standard. Milling is not an option. 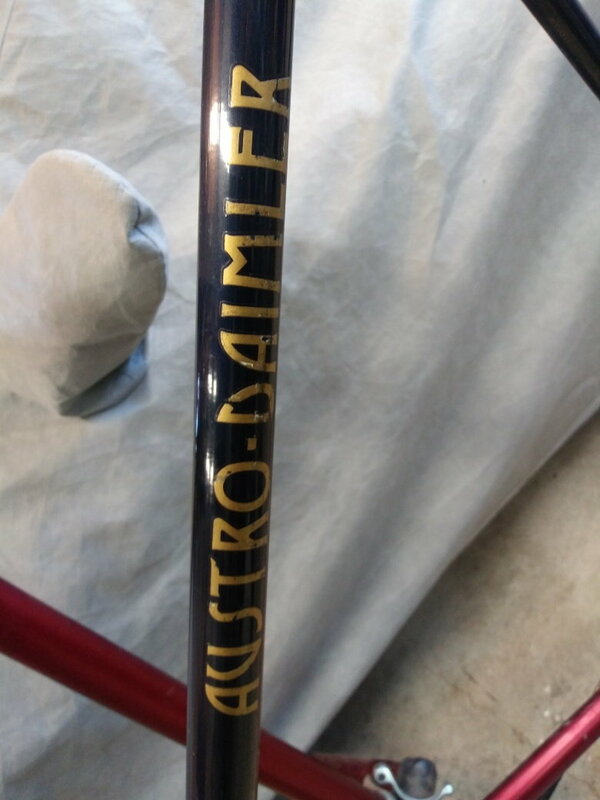 The headtube is 22.0mm, so it's French stems only. The BB is most likely to be English. You can tell for sure if the lockring knurling is cross-hatched. If not, then it's French or Swiss. Only applies to the original Nervar BB. 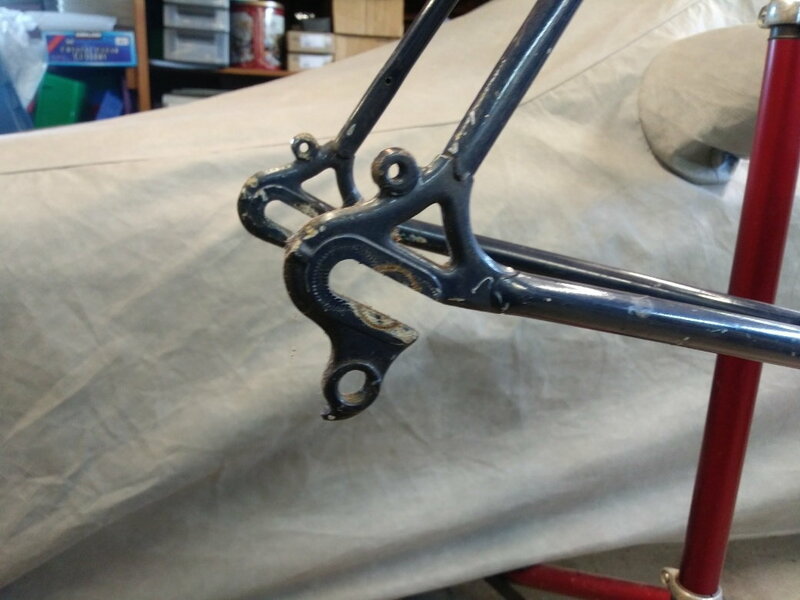 This frame requires clamp-on cable guides. Tubing is standard. Colour is "Salzburg Blue". Frame is now off the market. When getting ready to ship it, I noticed that the chain stays were flattened by a previous owner's kick stand. if you still want it after that disclosure, drop me a line and we can talk...... but I doubt it'll be worth the price of shipping. If you're local, you can come pick it up for free.